Now And Then: Disaster Images From The Gulf Coast : Tell Me More Lee Hill, of NPR's Tell Me More, offers a slide show of images by Pulitzer Prize-winning photographer Ted Jackson depicting very different disasters along the Gulf Coast. In the aftermath of Hurricane Katrina, the Ernest M. Morial Convention Center in New Orleans became an epicenter of despair. Angela Perkins pleaded with the world with her cry, "Help us, Please." Plaquemines Parish President Billy Nungesser and La. Gov. 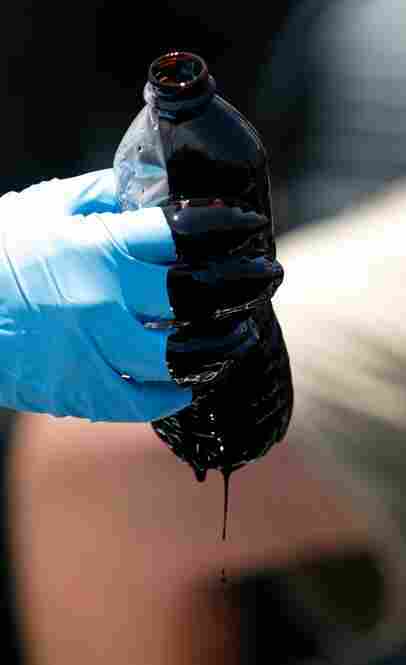 Bobby Jindal tour Pass a Loutre where oil has washed ashore on May 10, especially on the western side of South Pass. 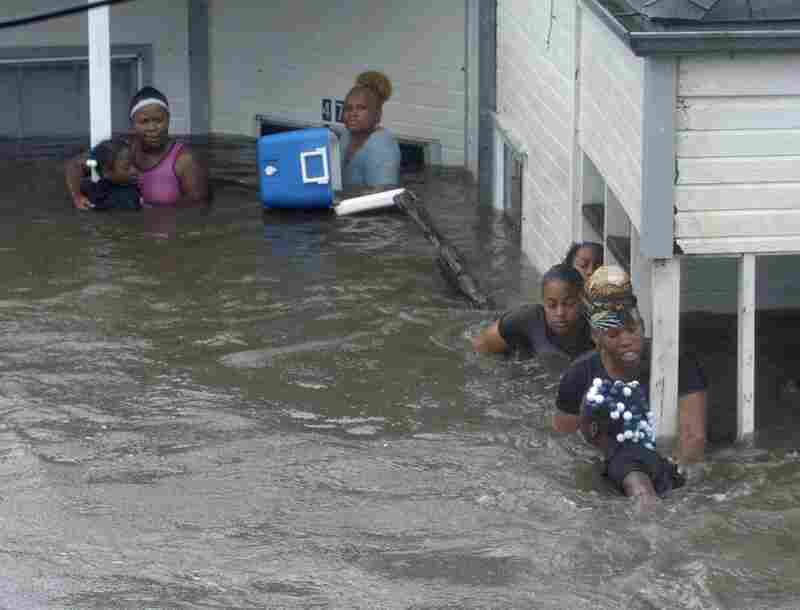 A family clings to posts on their front porch as rising flood waters force them to evacuate their home on St. Claude Avenue in the lower 9th ward of New Orleans during Hurricane Katrina in 2005. They said they had been clinging to the posts since 8 am. It was now after noon. Oil pools around the base of Rousso Cane near Pass a Loutre where oil has washed ashore on May 19. 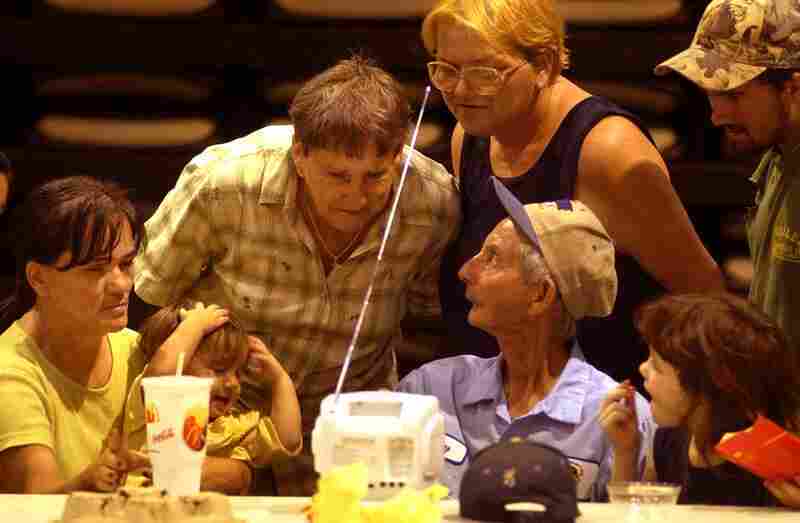 Residents of Montegut, La huddle around a small portable TV to watch the strengthening Hurricane Lili as it threatens the coast of Louisiana in October 2002. 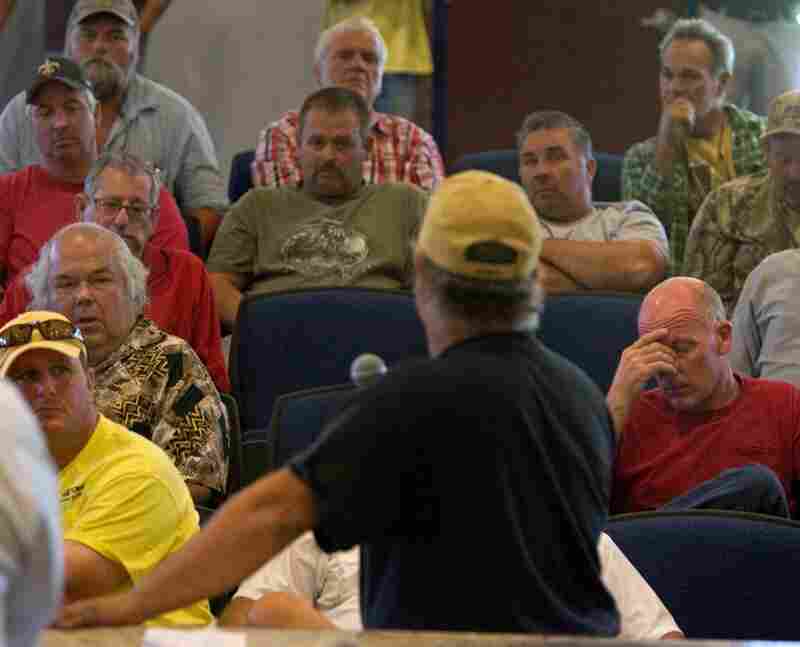 Louisiana fishers gather at the council chambers in Chalmette, La. 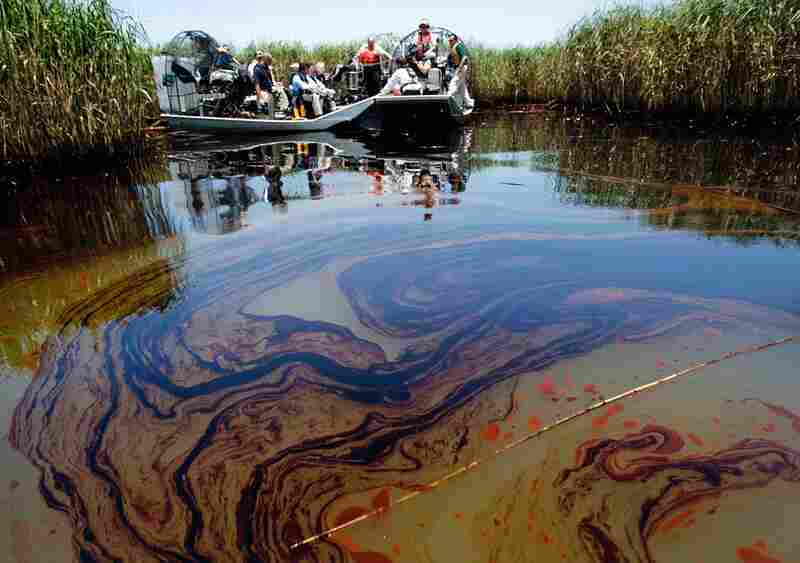 in an emergency meeting Wednesday, April 28 to see how they can use their resources to help fight the oil spill. 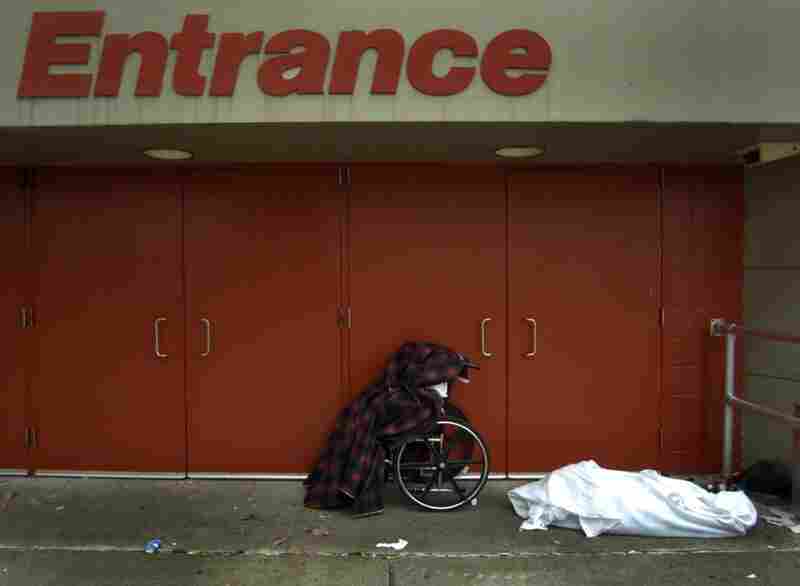 The body of Ethel Freeman, center in wheelchair, and another body lie covered outside an entrance to the Morial Convention Center in New Orleans following Hurricane Katrina. Evacuees showed respect for the dead by draping them with blankets. 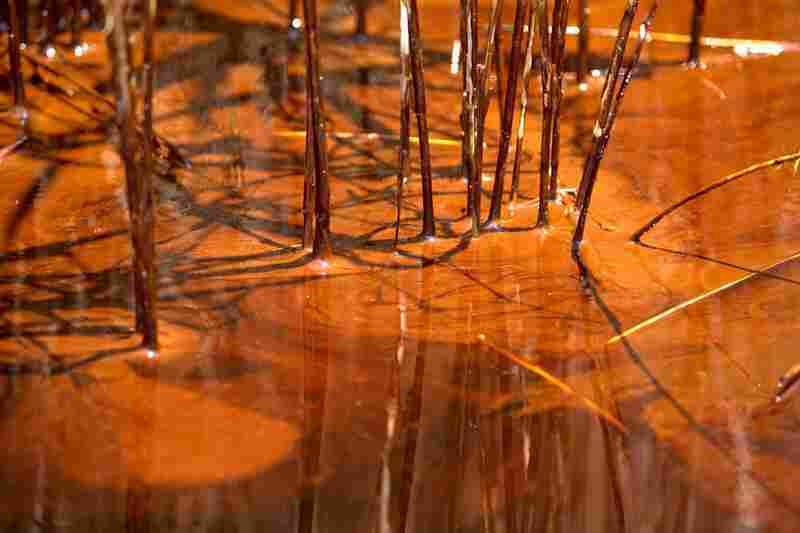 Heavy crude drips from a water bottle picked up from the oil-saturated marshland at Pass a Loutre on May 19, where the first oil hit the Louisiana coastline. 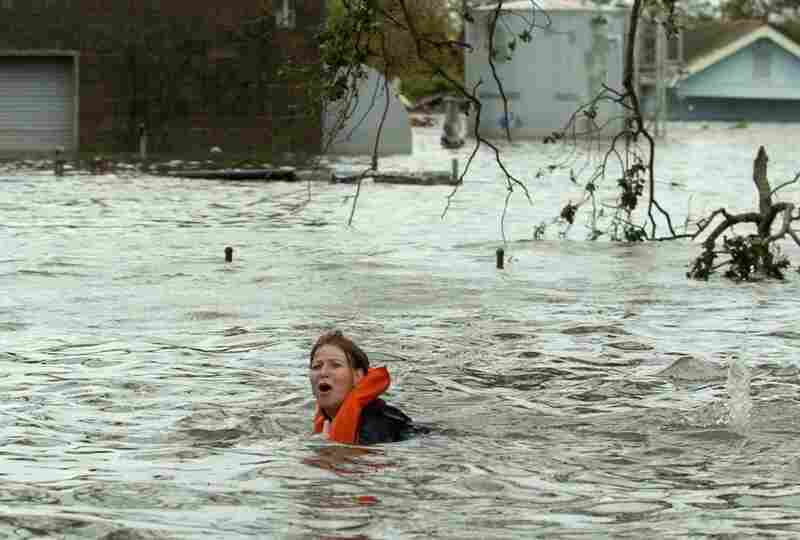 A woman swims down St. Claude, trying to keep in good spirits, saying she was swimming to New Orleans after flood waters inundated the region after Hurricane Katrina. 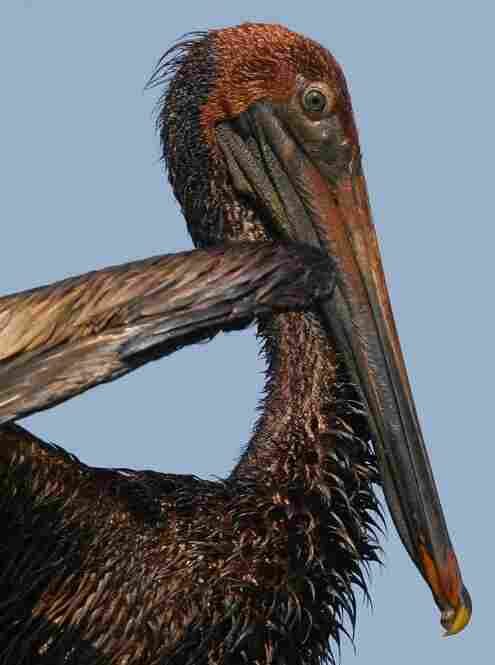 An oil drenched pelican tries to cope with its situation on the east side of Barataria Bay near Chaland Island, as oil from the Deepwater Horizon oil spill continues to coat the Louisiana coastline. The Netherlands Ambassador Boudewijn J. Van Eellennaam looks outside a bus window on a 2005 tour of the devastation caused by Hurricane Katrina as Louisiana Sen. Mary Landrieu succumbs to the moment. 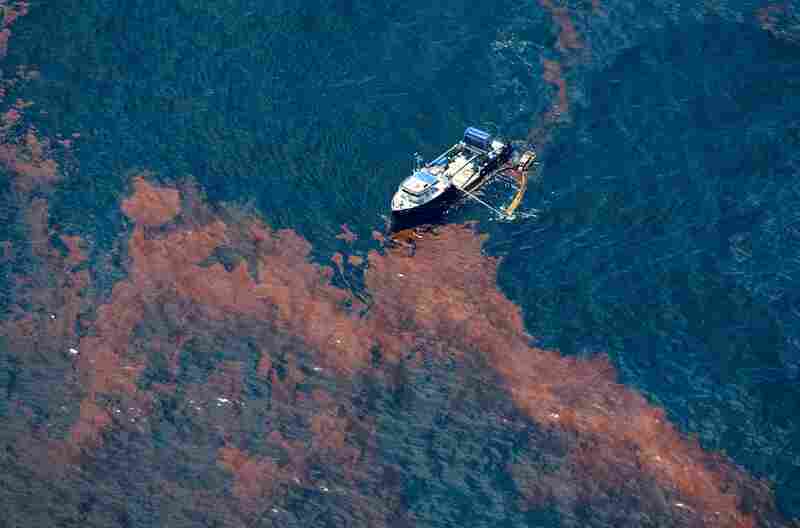 Oil skimmers try to clean oil released from the leaking well deep in the Gulf of Mexico. On Monday's program, we talked with New Orleans Times-Picayune photographer Ted Jackson and NPR's Keith Jenkins, Senior Supervising Producer for Multimedia about the challenges of photographing disaster zones. Both men have first-hand knowledge about the subject. Before gracing us with his expertise here at NPR, Jenkins spent many years as Photo Editor for The Washington Post. Jackson has been working for the big newspaper in New Orleans for years. As a result, he -- with his camera lens in tow -- has been an eye-witness to disasters experienced by the region. Specifically, we wanted to know about the contrasts between photographing hurricanes and environmental disasters, such as the gulf oil spill. 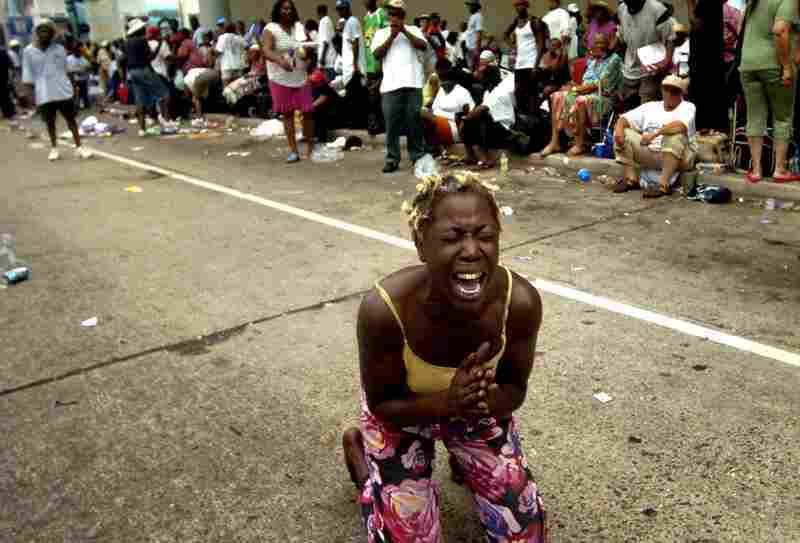 For instance, with Hurricane Katrina there was tangible human despair and a massive loss of human life -- and then there was the photogenic reaction to all of that. With the Gulf oil spill -- already described by President Obama as "the worst environmental disaster America has ever faced" -- what was more tangible was the perceived assault on wildlife and the seas with scenes of crude-drenched shore lines and animals wading through oil. The pictures above offer a closer look at this contrast and what, for some photojournalists, is also very much conflicted photography.